Last October, a Category-4 typhoon hit the northern part of the Philippines, causing over 24,000 people to evacuate their homes. The storm, known as Typhoon Lando, damaged numerous structures, which resulted in power outages across nine regions leaving approximately 9 million people without electricity. In response to the typhoon, we organized a relief operation in partnership with Hands on Manila. Our relief efforts focused on one of the towns most severely hit by the storm, Nueva Ecija. The entire town was submerged in water during the typhoon causing widespread damage and disruption. We drove three hours away from Manila to Nueva Ecija and delivered much needed supplies such as bedding, kitchenware, groceries, hygiene, and first aid kits. The kits were complete with disaster to-go bags to help people recover from the storm. 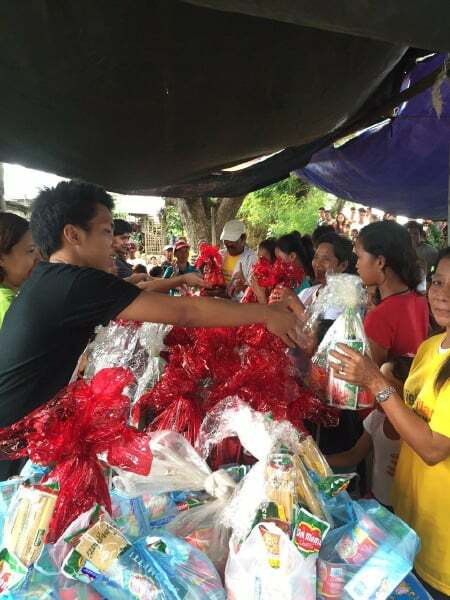 Additionally, to keep spirits up as the holidays approached, we gave out Christmas gifts and Noche Buena (Christmas Eve dinner packages) to 80 families in the town. Although the people of Nueva Ecija will continue to feel the residual effects of the typhoon, we are inspired by their tenacity. Known locally as the All Lights Village, Nueva Ecija is resilient and, despite current circumstances, this town will continue to shine!